How many times have you lost a really good employee? How many times do you evaluate your employees only to be depressed by what you see? 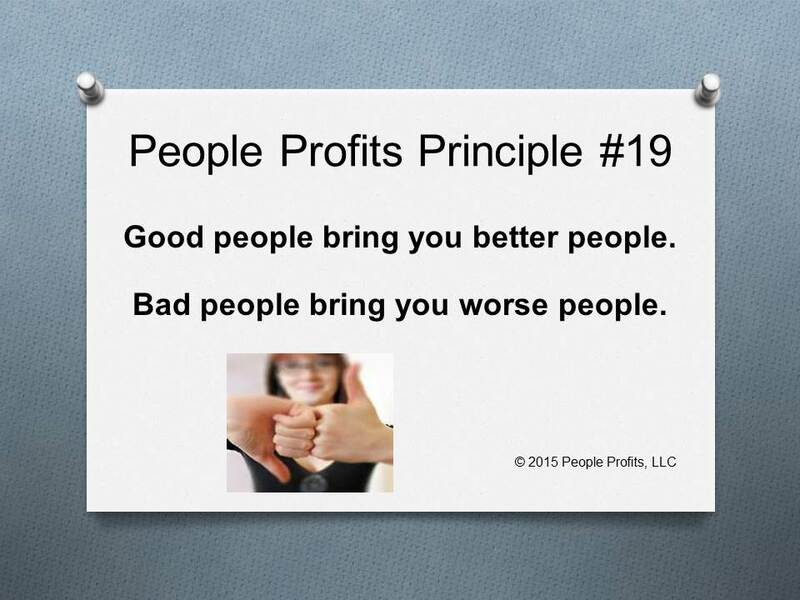 How much time do you spend trying to develop a "good people" environment only to lose yet another good employee? If you want good people to work for you - then develop a environment which good people would be attracted and will want to stay. At the same time do something about the bad people. It might mean nothing but work with them and try to make them better. It may also mean termination at some point. How you deal with these two groups will determine who stays.